The electric guitar has been floating around in some form or another since the early 1930s. But given how much the instrument dominated the music landscape for the latter half of the 20th century, interesting innovations don’t really come along too often. Fender’s models are probably the most iconic of the bunch, and the company has found most of its successes sticking to what works. In recent years, however, the American guitar manufacturer has been looking for ways to broaden its appeal as rock music has slowly waned from the music charts. The Acoustasonic Telecaster, however, makes a pretty compelling case that there’s still room for innovation in that well-tread ground. The acoustic/electric hybrid is more than just your standard hollow body with built-in pickups. The magic is a built-in digital signal processing chip — not entirely dissimilar from the one you find in effect pedals. If you pay any attention to instruments, you’d be forgiven for thinking this is all fairly gimmicky. But demos and some early hands-on with the guitar show a surprisingly rich and full sound from the system. 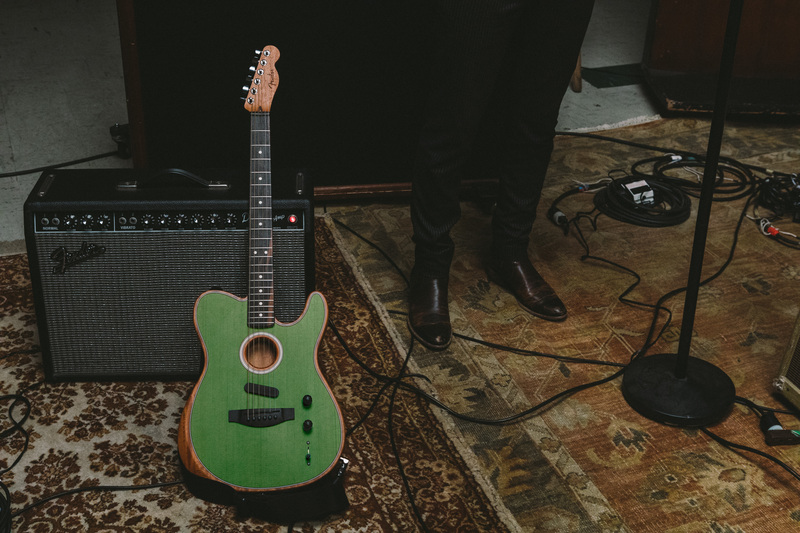 The Acoustasonic is built in Fender’s California factory. It’s available starting today for $2,000.